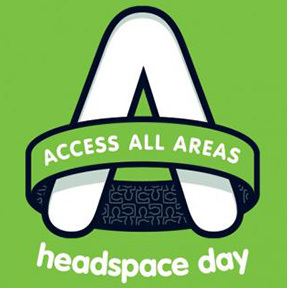 On Tuesday October 11, the inaugural headspace day will take place with the overarching theme of Access All Areas. In support of young people with mental health issues, this national day of awareness is about ensuring every young person in Australia has access to youth-friendly, mental health services no matter where they live. headspace has a network of close to 100 centres across metropolitan, regional and rural areas of Australia, which is integrated with a comprehensive phone and online chat service called eheadspace. Over the past decade, this has enabled close to 260,0000 young people from all over Australia to access mental health care with the provision of more than 1.5 million services in person, online or over the phone. Every year, a quarter of all young people in this country will experience mental health issues and headspace are here to help.